A lot of my customers are struggling with the billing part of Azure. They need a convenient way to review and visualize what they have consumed in Azure. I discovered the Azure Usage and Billing Insights (AUBI) portal couple of weeks ago, which does exactly this! 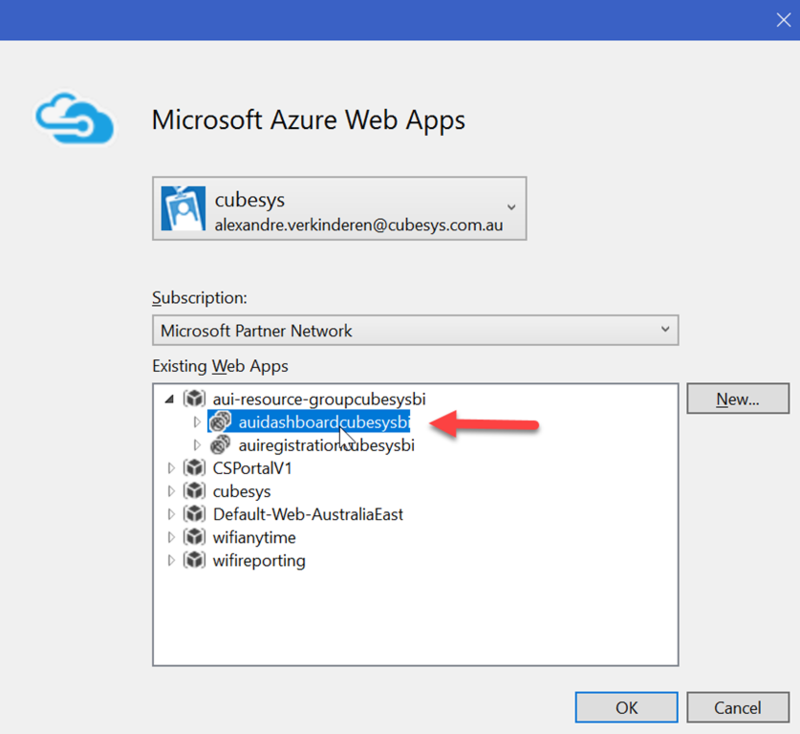 This solution is designed to retrieve usage details of all Azure services in specific Azure subscription(s). 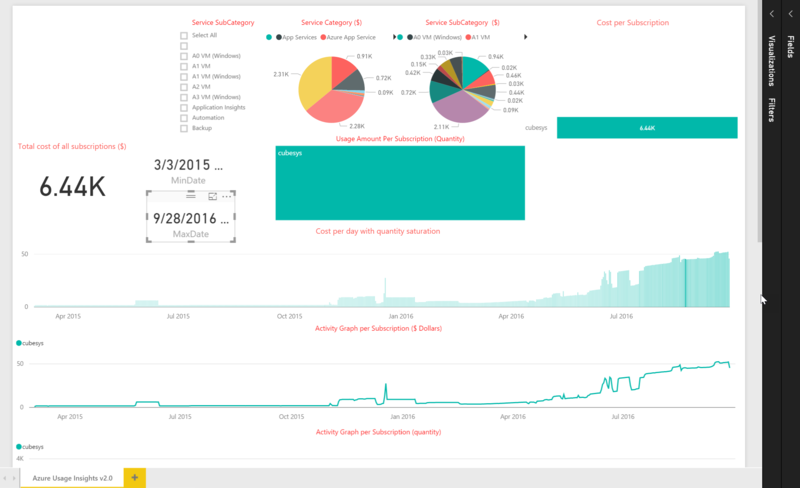 Using a PowerBI dashboard, one can retrieve up to date billing data (Azure service usage details) of a subscription. 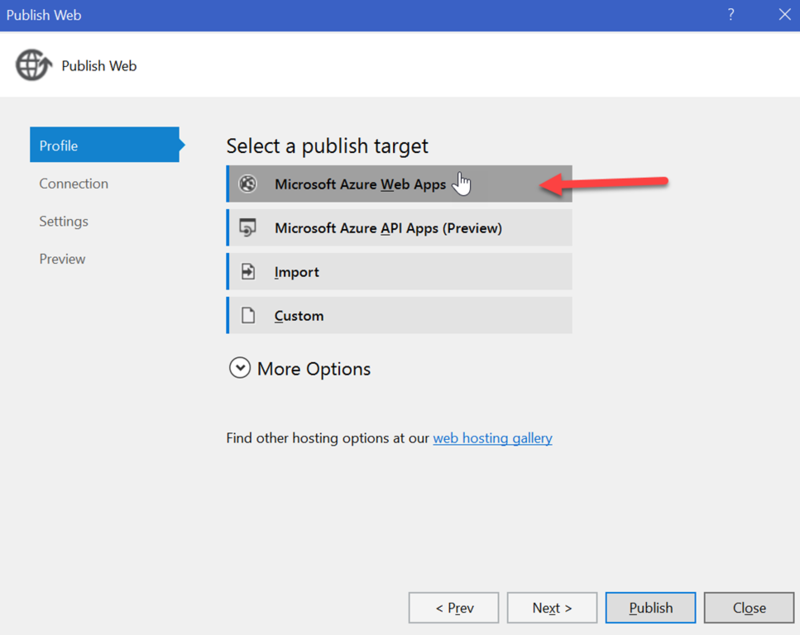 One public website called Registration where any user can provide access to the site and register their Azure subscriptions. One website called Dashboard, where only authenticated users can see the list of registered subscriptions and trigger a job to re-generate up to date billing data in case of any inconsistency. One AzureSQL Server to hold billing and usage data for all registered subscriptions. 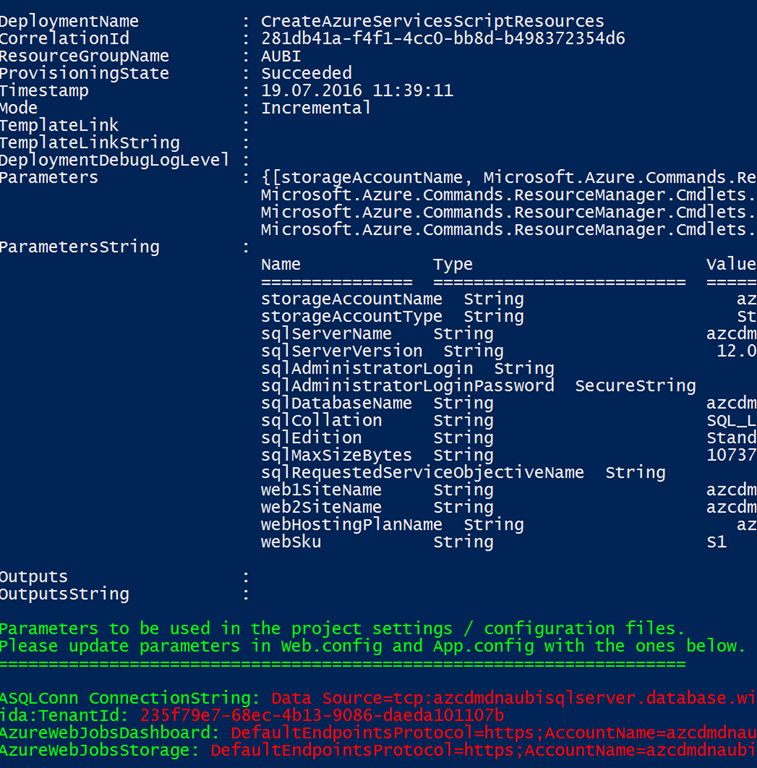 One Azure Storage Queue to hold “generate data” requests. One schedule base (every UTC night) running webjob that is triggered once a day to create “generate data” request for each registered subscription. 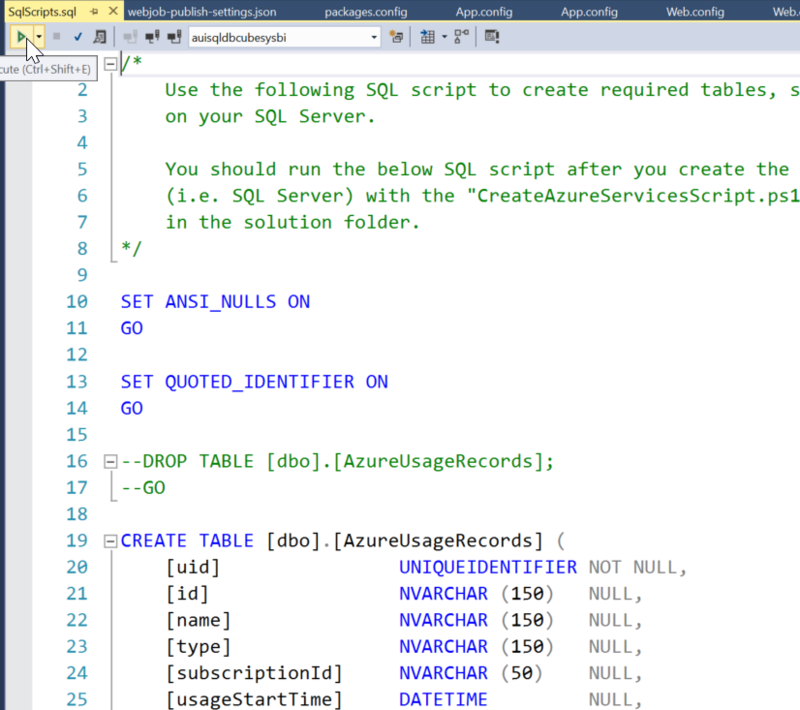 One continuous running webjob to process requests that are waiting in the Azure Storage Queue. 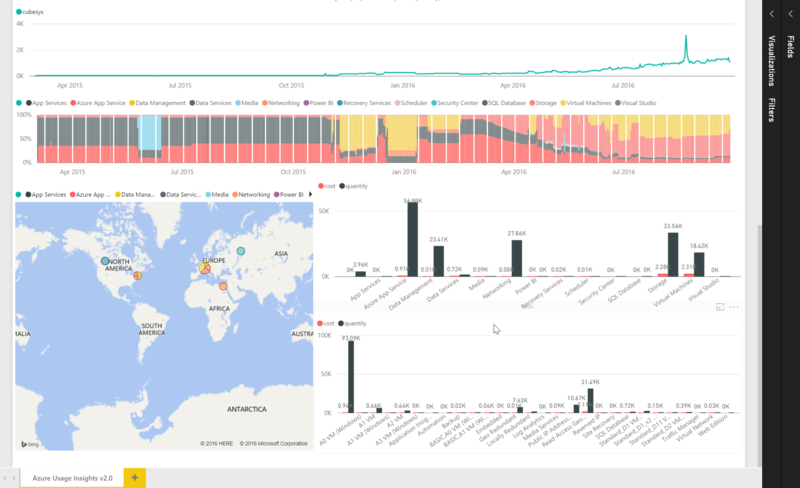 PowerBi dashboard for data visualization of all or per subscription Azure service billing and usage details like service unit, quantity, usage duration, etc. First open the JSON template file and change the variables if required. Make sure to change the subscription name and default password to reflect your own subscription. Don’t change the region though, as the ARM template is using some Application Insights components which are only available in Central US region. 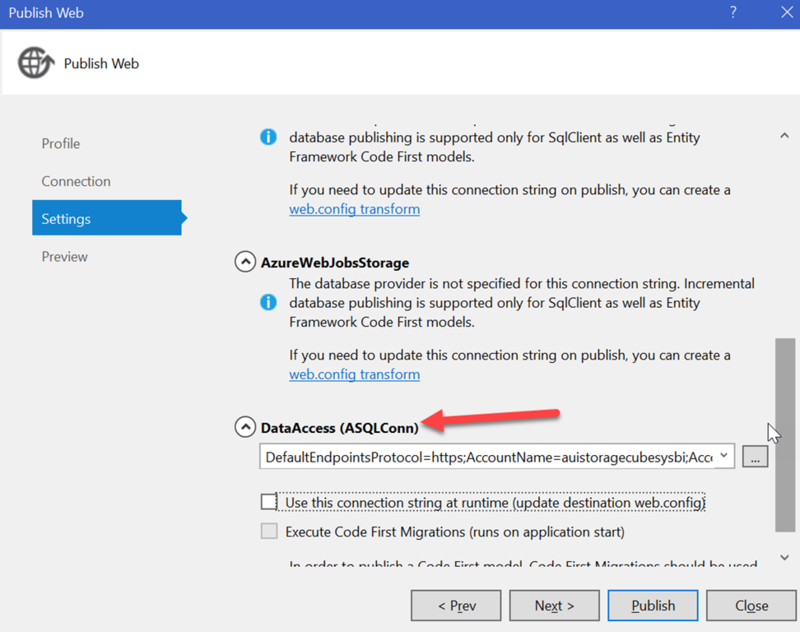 Make sure your client IP address has been added to the SQL server firewall exception list, or you will run into issues when trying to deploy the solution with Visual Studio later on. Once the script is successfully executed, it will output all parameter values with their names in PowerShell ISE. 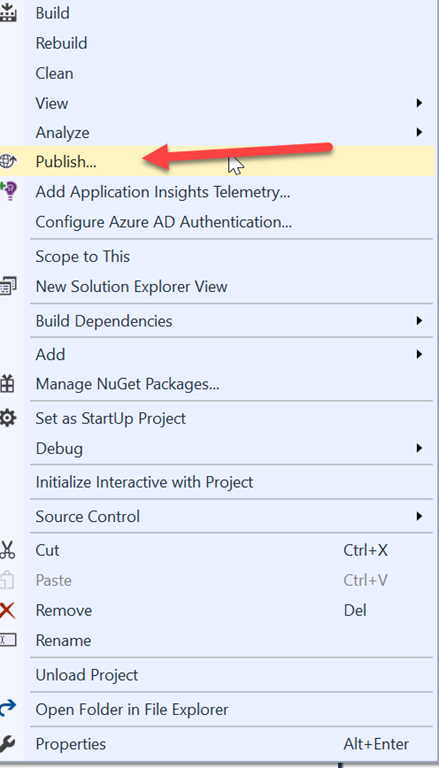 Don’t close your PowerShell window as we will need those output parameters later on to update the configuration (Web.config and App.config) files inside the solution with these new service settings before compiling and publishing them with Visual Studio. 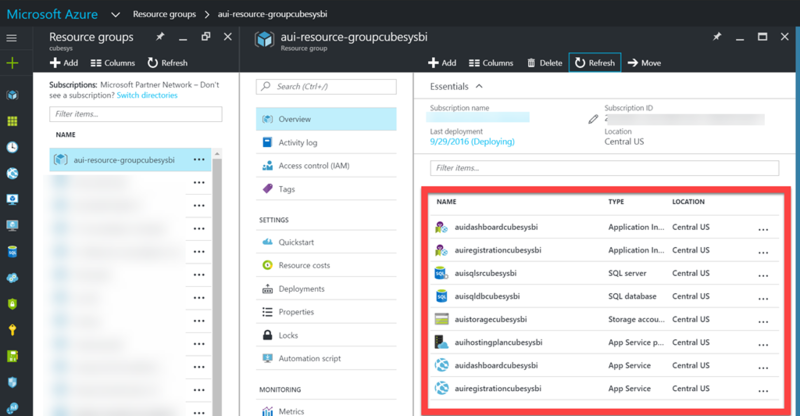 In case there are any errors during the execution of the Powershell script (maybe because the service name that you assigned in the parameters is not unique), you can delete the resource group from Azure management portal and restart the Powershell script with new parameters. Same for the registration portal that we need to publish as well. You have to enter the authentication Active Directory (AD), so only the users defined under this AD will be able to access the Dashboard webpage. Change “APP ID URI” value to an any valid URI in your directory. As in the above sample, your directory name (i.e. cubesys.onmicrosoft.com) can be found under the settings page in the old portal. 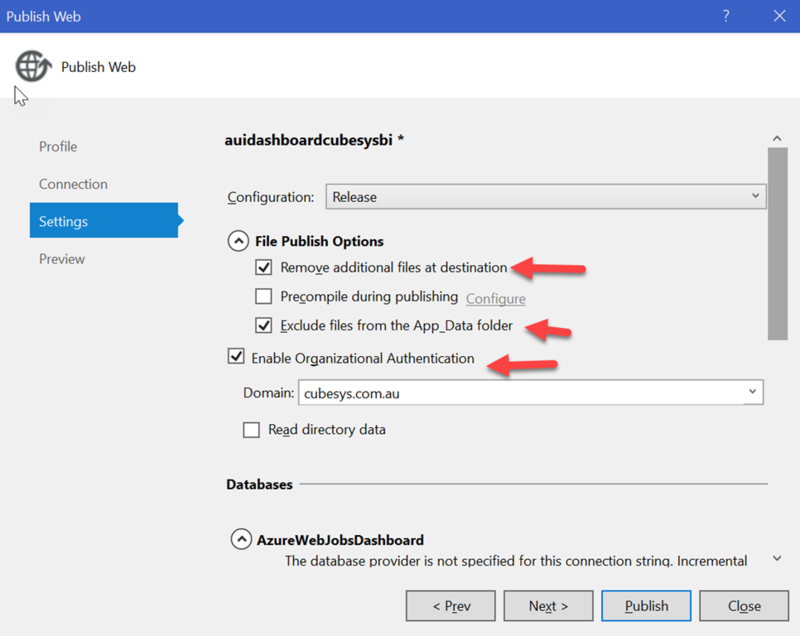 Once you install and complete all the required configuration steps anyone can access the registration website and register their Azure subscription for monitoring. Go to the URL address of the Registration website to register your Azure subscription. 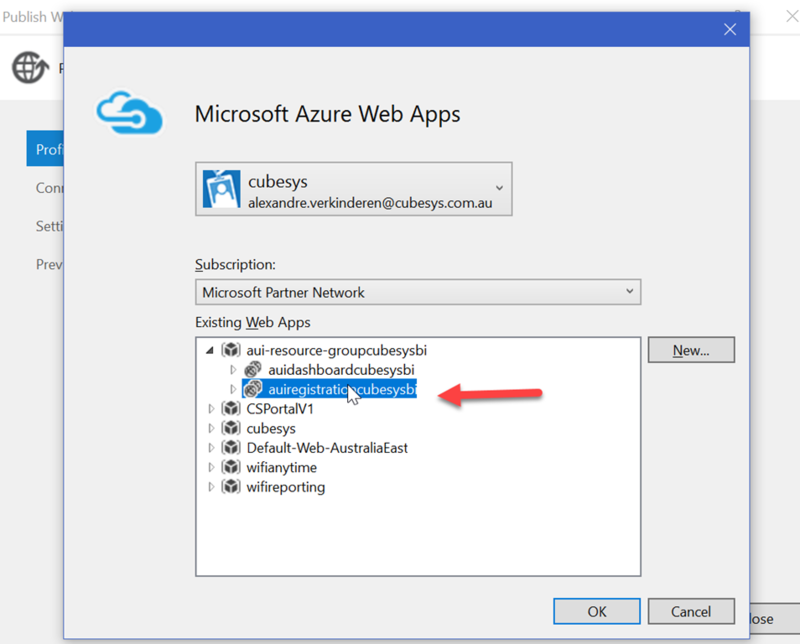 In the final step a list of your azure subscriptions will be listed. Each list item has a subscription name, a textbox and “Allow Monitoring” button. The user is expected to enter a display name for each subscription (i.e. first and last names) that will be shown in the reports. You need to download and install the PowerBI desktop application from https://powerbi.microsoft.com/en-us/desktop. 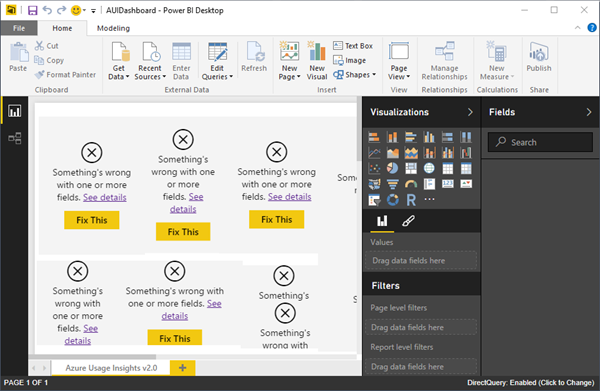 Once you have it, you can open the AUIDashboard.pbix file to modify the existing report and publish it to PowerBI online. 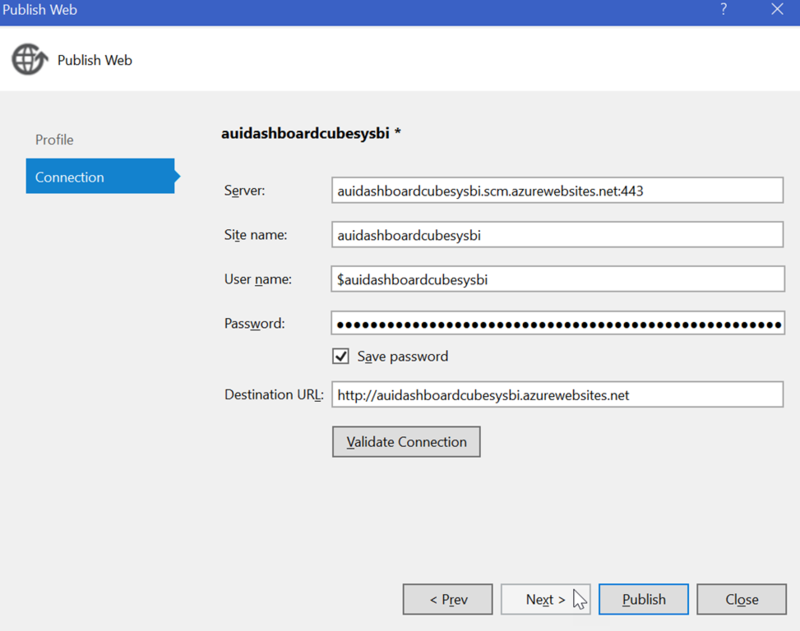 When you open the AUIDashboard.pbix file, initially you will see many errors like “Fix This” as there is no data, because no data connection set. 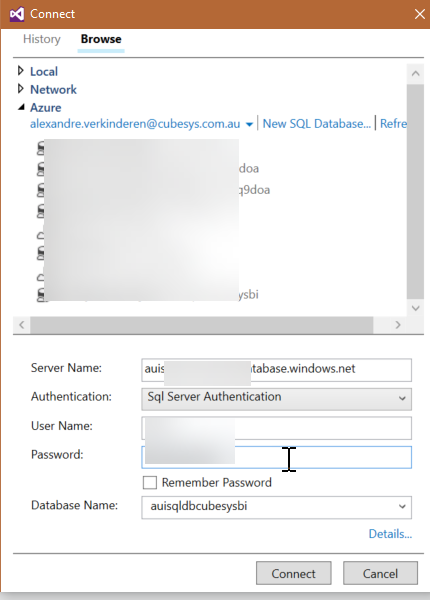 In the new window, click “Data Source Settings” to make required Database name, SQL Server password updates, etc. As you can see it’s relatively easy to deploy the Azure Usage and Billing Portal to visualize your Azure bill. I suggest you look at this video from Chris and Mustafa on how to setup the Azure billing Portal. This is a great post. Do you have any estimated cost on the Azure items needed to implement this? Hi Jonathan, you can use the free websites, so there is no cost for this. For the database there is a cost of a few $ per month depending on your database size. You can use the free PowerBI subscription as well. Hi Alex, congrats! your post are very intersting. I have completed all the process without problems but at the end of step 5 in the dashboard website the data generation status is always Pending because of this there are tables of power bi that are empty like AzureUsageRecords, ReportRequests and Reports. Do you know why this problem is caused? Thank you very much and I hope your answer. Hi Juan, how long have you been waiting? What is the schedule you have set? I finally found the problem http://stackoverflow.com/questions/27332324/no-route-registered-for-webjob the schedule was not working, to solve i deleted the job and then re-published it. Thank u very much. Hey Alexandre. I’ve tried to complete the steps as listed above, as well as on the GitHub page. I know that there have been a lot of new commits to the project since this post was made and I was wondering if you had attempted to deploy this AUBI Portal since? 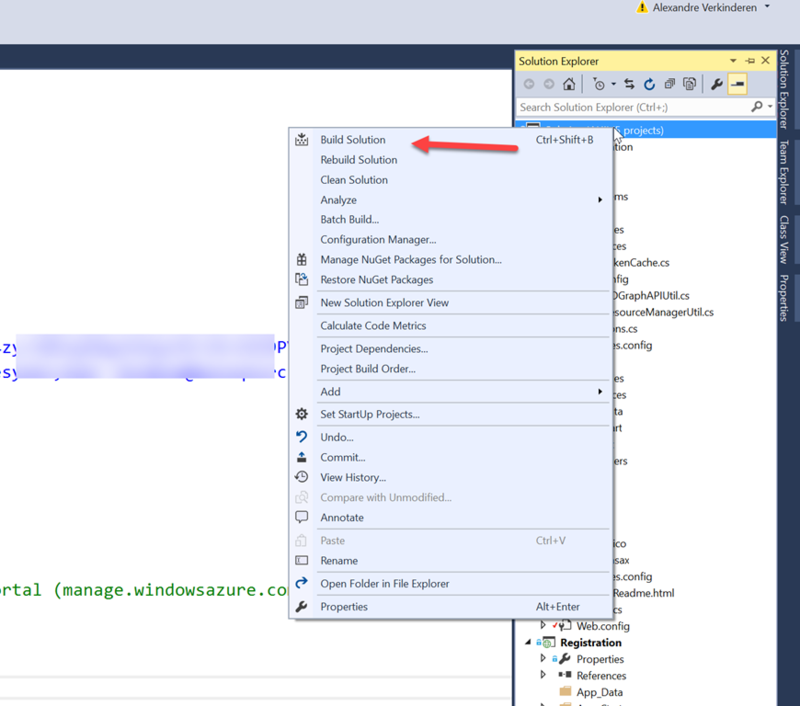 I am getting tons of errors when trying to Rebuild the Solution in Visual Studio. I figured out that I needed to update a ton of the NuGet References and change some code in a few places, but I am still unable to rebuild properly. Is this something that you experienced as well? Hi, Yes I got the same errors. I had one of my devguys helping me out so it could rebuild properly.